The 'Elements' crew has a new home. When West Ham United and VfL Wolfsburg signed their first eSports players, they were surprising but understandable deals. After all, the two clubs were supporting FIFA -- a video game franchise that ties back into their normal soccer (or football, as it's known to most in the world) businesses. 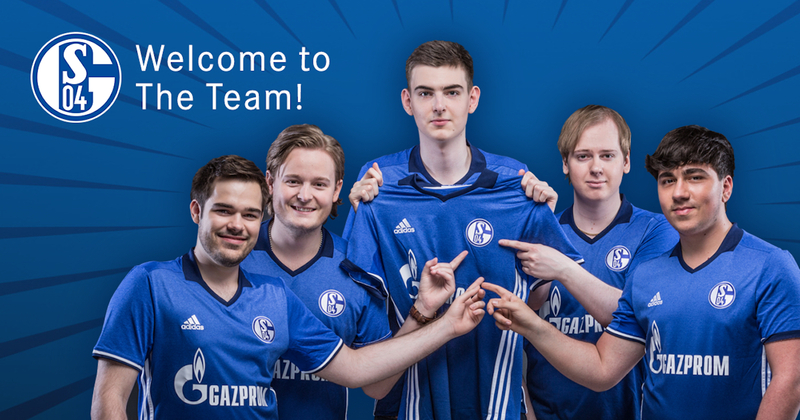 Now, FC Schalke 04 -- one of the top clubs in the German Bundesliga -- has bucked this trend by signing a League of Legends team instead. Formerly known as Elements, the new League squad comprises of Etienne "Steve" Michels, Hampus "Fox" Myhre, Berk "Gilius" Demir, Rasmus "MrRalleZ" Skinneholm, and Hampus "Sprattel" Abrahamsson. League of Legends is one of the biggest games played on a professional level. With growing audiences, prize pools and sponsorships, it's not surprising to see a traditional sports club wading in. FC Schalke 04 has the finances to sign some of the game's best players, as well as staff that can provide vital support and advice. Elements is by no means a dominant force in the League community, but it does have a legacy dating back to 2013, when it competed under the name Alliance. With Schalke's help, it's possible the team can grow into World Championship contenders. #Schalke 04 acquires eSports team "Elements".